Lock in a great price for To Petrino Guesthouse – rated 8.7 by recent guests! We loved the locstion, layout and style of room.Excellent facilites Great extra spaces, balconey off room, shared living areas and beautiful outside seating areas. Lovely helpful and friendly host. Amazing breakfast! We had a very enjoyable and relaxing stay. Overall fantastic. Although the woman attending is only spoke German, she was very friendly, helpful and "easy" to communicate with her. The room was extremely clean. The landscape surrounding the guesthouse is fantastic. 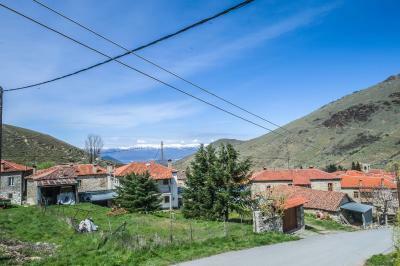 Really handy for touring Prespes area, the accommodation was lovely and the breakfast was great. The host were very helpful. The tavernas in the area were very good and served wonderful food. Εξαιρετική τοποθεσία του ξενοδοχείου. 2 λεπτά περπάτημα από το κέντρο του χωριού. Άφθονα ξύλα για το τζάκι, το οποίο ήταν έτοιμο προς άναμα. Εξαιρετική και η φιλοξενία των ιδιοκτητών έτοιμοι να σε βοηθήσουν σε κάθε επιθυμία σου. Το συστήνω ανεπιφύλακτα. Vriendelijk ontvangst. Heerlijk ontbijt. Het was koud en guur toen we aankwamen gelijk ging de verwarming aan. Leuke en goede taverne op loopafstand. Schöne, gemütliche Unterkunft in herrlicher Umgebung! Καλό πρωινό με φρεσκομαγειρεμένες παραδοσιακές λιχουδιές από την κυρία Θωμαή. Το στρώμα και το πάπλωμα πολύ μαλακά και άνετα. Το τζάκι μπόνους για ατμόσφαιρα. Aan het ontbijt was veel persoonlijke aandacht besteed. Φιλόξενοι ιδιοκτήτες στη διάθεση των επισκεπτών. Ιδανική τοποθεσία κοντά στο κέντρο του χωριού δίπλα σε ένα ρυάκι που διασχίζει το χωριό. Βολικό για περιπάτους στη φύση. Συνιστάται το δωμάτιο με τζάκι, το άναμμα του τζακιού φτιάχνει μια πολύ ωραία ατμόσφαιρα,. 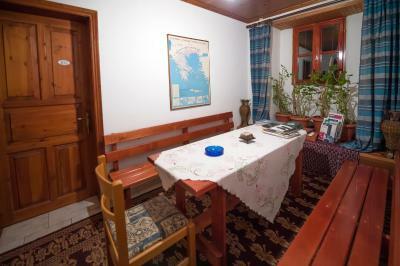 Traditionally built To Petrino Guest house is located in scenic Agios Germanos 4.3 mi from Lake Great Prespa. 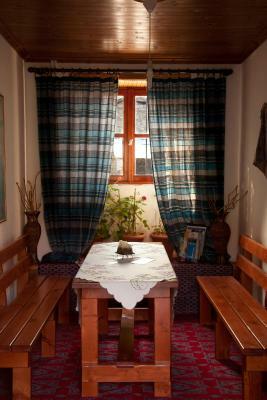 It serves a traditional breakfast and features rooms with free Wi-Fi and views to the mountain, lake or the village. Featuring wooden floors with local rugs and a patio area, rooms at the Petrino include a TV and fridge. 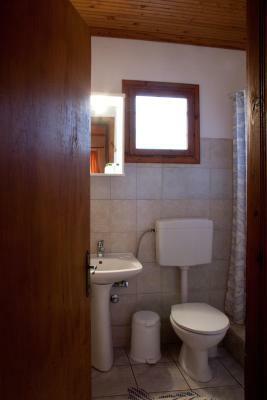 Each has a private bathroom with toiletries and hairdryer. Some rooms feature a fireplace or a balcony. 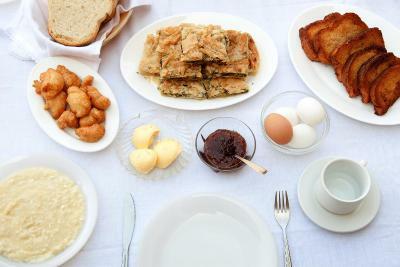 Pies, traditional pasta soup, cakes and other local delicacies are included in the breakfast that is served in the dining room or in the rooms. Lunch and dinner can also be prepared upon request. 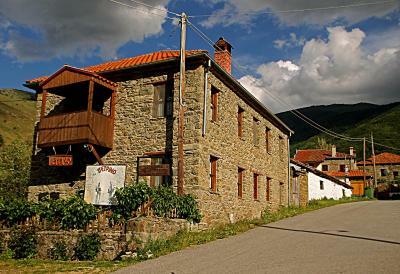 Taverns are within a 3-minute walk from the property. Staff at the 24-hour front desk can offer information on local activities such as boat tours and bird watching. 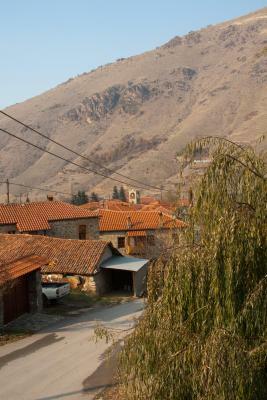 Vigla Ski Center is 17 mi away and the town of Florina is at 31 mi. 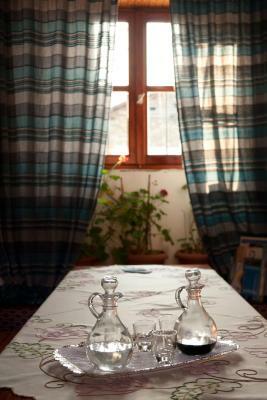 When would you like to stay at To Petrino Guesthouse? 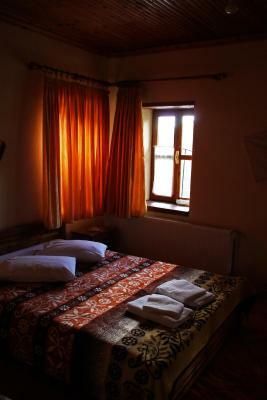 Rooms feature free Wi-Fi and views to the mountain or the village or side lake views. 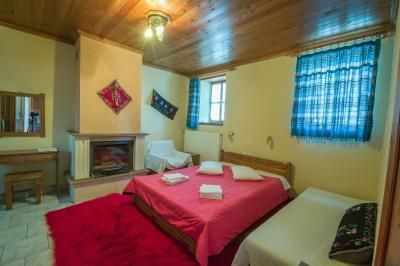 They include wooden floors with local rugs, a TV and fridge. Each has a private bathroom with toiletries and hairdryer. All rooms have a patio area and some have a balcony too. 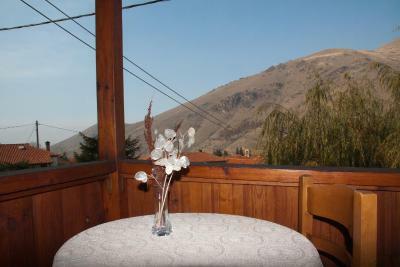 Featuring a fireplace, free Wi-Fi and views to the mountain or the village or side lake views. 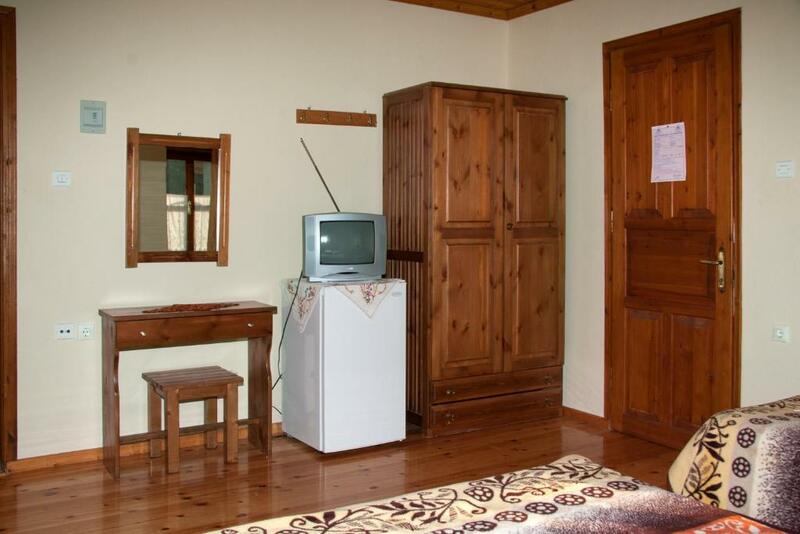 It includes wooden floors with local rugs, a TV and fridge. Each has a private bathroom with toiletries and hairdryer. They have a patio area or a balcony. Use of the fireplace includes a surcharge. House Rules To Petrino Guesthouse takes special requests – add in the next step! One child under 5 years is charged EUR 5 per person per night in an extra bed. To Petrino Guesthouse accepts these cards and reserves the right to temporarily hold an amount prior to arrival. The mattress could have been a bit more comfortable. 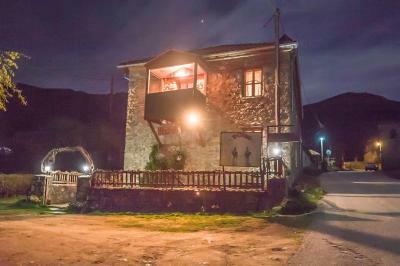 It is not easy enough to find it at night, there is lack of some sign of the guesthouse.